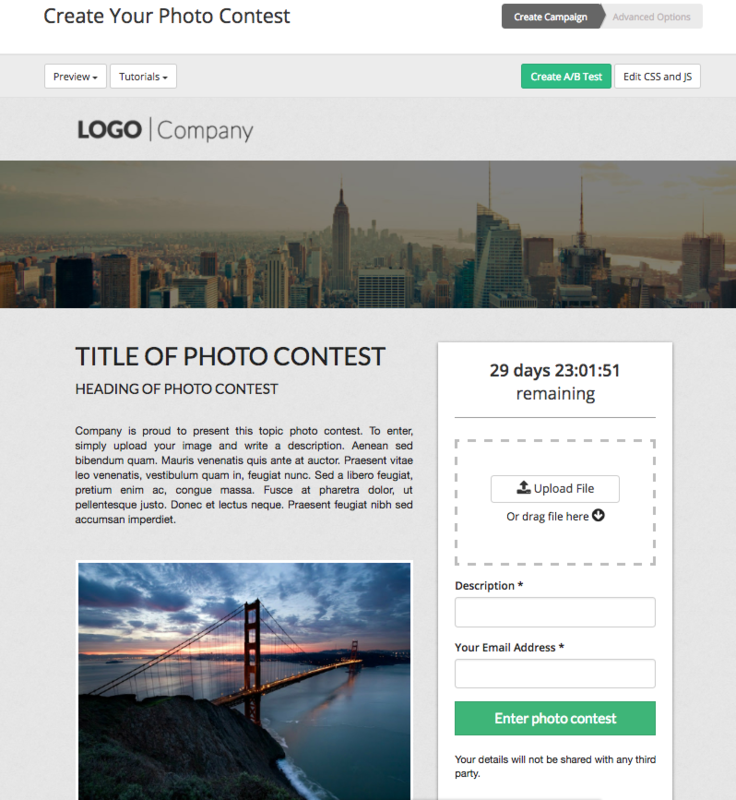 Photo contests include an entry form with an upload image field so the entry photos can then display on the contest's gallery page. 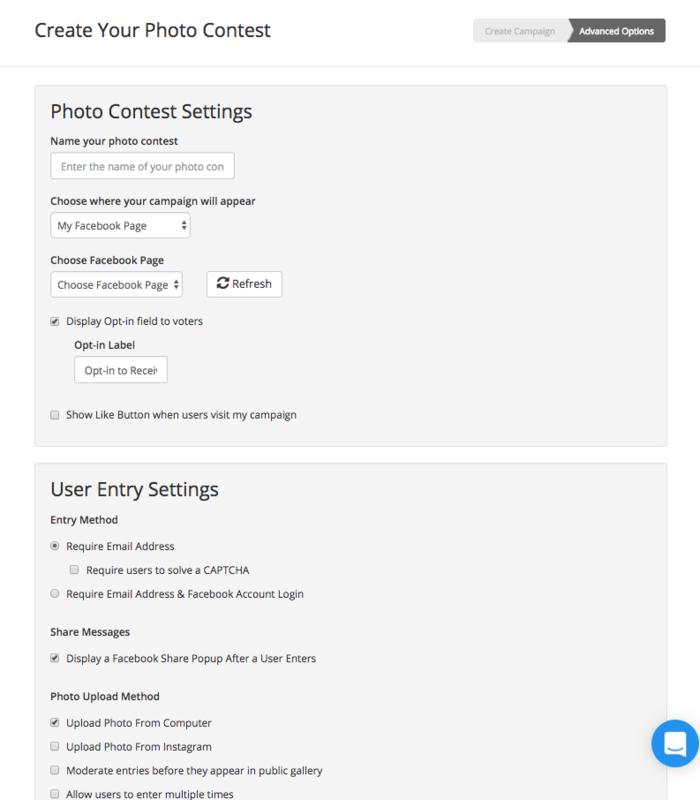 You can then customize the contest so participants can vote on these entries. Go to your General Contests and Promotions under "view more"
In the Advanced Options choose where your contest will appear and customize the settings for it. Once completed, scroll to the bottom of the page and click 'Next'. Your contest will then appear at its scheduled Start time.